The holidays are just around the corner and that means it's time to get your wish lists finalized. And while we have no doubt that stylish leos and cozy warm-ups will find their way onto your list, we think you'll want to consider adding some of these lit dance books to your holiday lineup, too. From revamped Nutcracker tales to biographies of your favorite dance stars, we've rounded up the latest and greatest books that every dancer will want to see in their stockings this season. 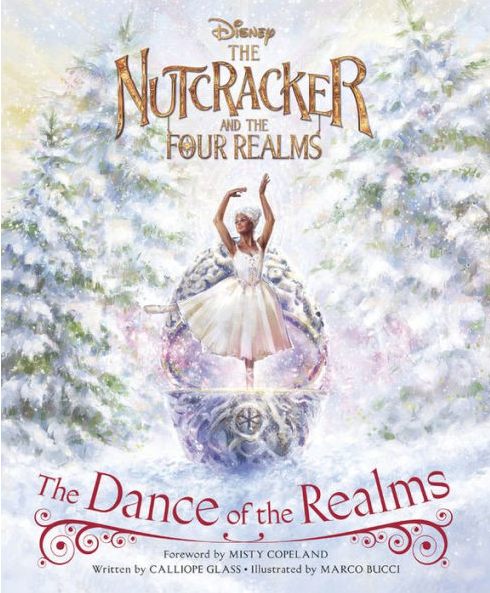 If you're like us and can't get enough of the new movie The Nutcracker and the Four Realms than this book is for you. Thanks to the book's intricate illustrations, you can relive all the magic of the live-action film with the turn of the page. And with a foreword by Misty Copeland herself, you'll want to make this book a part of your holiday traditions every year!